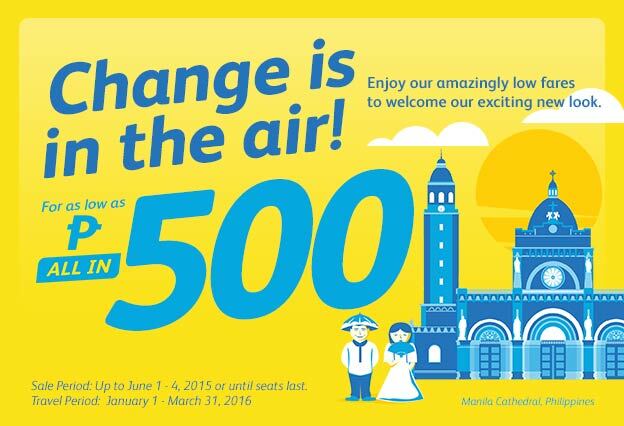 Low-cost airline Cebu Pacific announced their latest promotion. They cutting half of the base fare for all their international* destinations. The travel period is from February 1 to May 31, 2016. The promo begins today and will last until January 14, 2016. You can book your tickets online at www.cebupacificair.com. 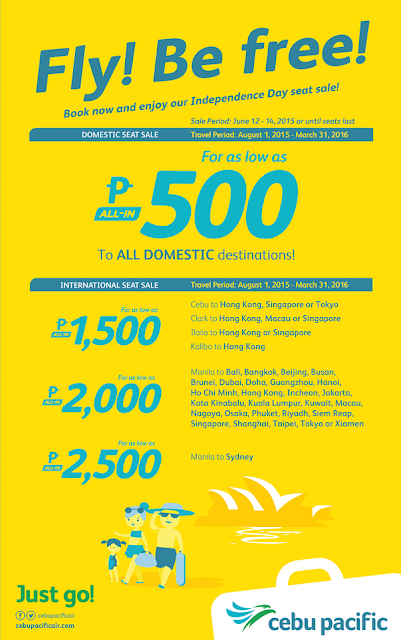 As a celebration of the Philippine Independence Day, flag carrier and leading low-cost airline Cebu Pacific announces 500 Pesos all-in fare promo for all domestic (Philippine) destinations. The travel period is from August 1 and until March 31, 2016. 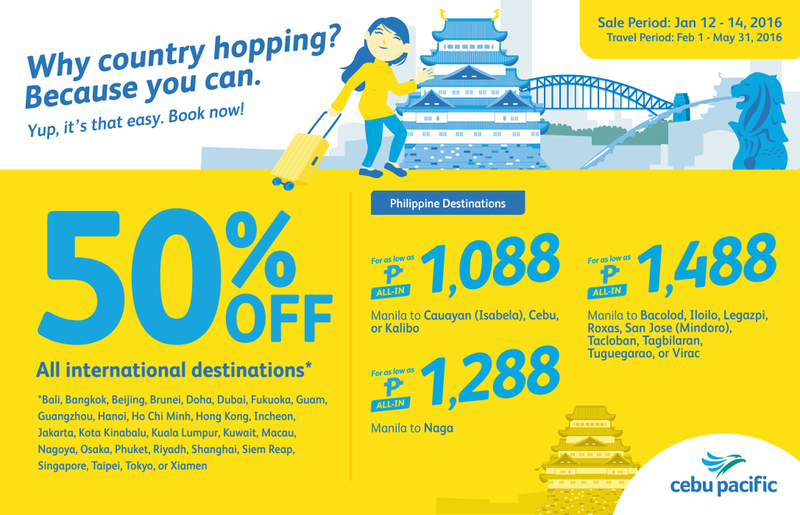 Below is the screenshot of Cebu Pacific promo poster in Twitter. You can book tickets online at www.cebupacificair.com or their payment partners. 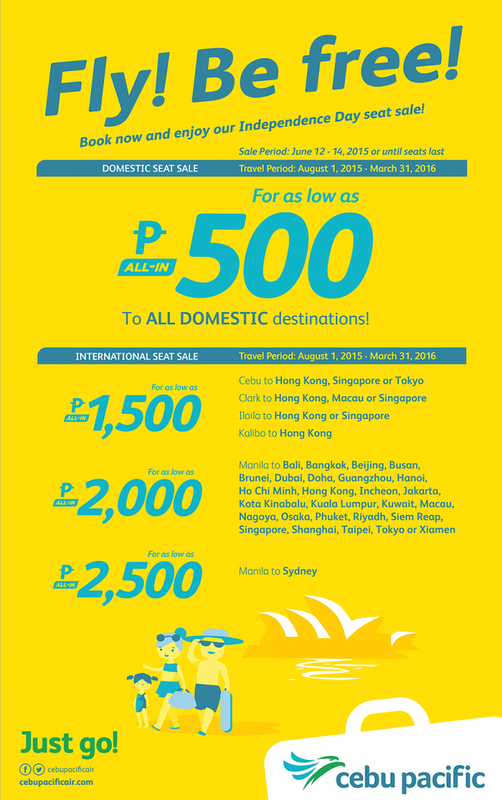 Low-cost airline Cebu Pacific announces a new promo offering as low as 500 Pesos of all-in fare to all Philippine destinations. The travel period for this promo is from January 1 to March 31, 2016. 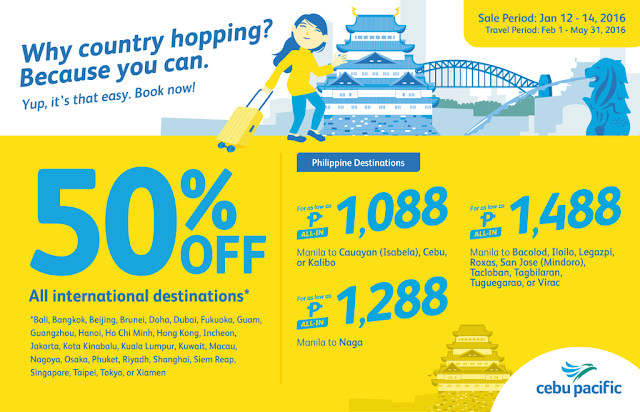 Promo period is until June 4, 2015 or until seats last.